Without clearly defined goals, you simply can’t achieve the success you want! How can I set goals that will truly motivate me to take action? How do I plan and prepare so that you can reasonably expect to reach my goals? How can I keep my motivation strong when obstacles come along? 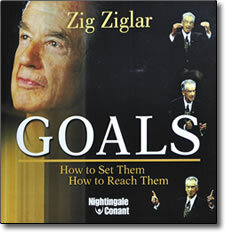 In Goals: Set Them, Reach Them, you’ll explore these questions and more in a personal conversation with one of the greatest motivators and success trainers of all time, Zig Ziglar. Zig Ziglar has helped millions of people just like you to reach their most important goals. Now, it’s your turn. You can set big goals and reach them. Start today!